Traditionally, the procedure of coating white metal on to the surface of bearings has involved Babbitting, which was invented in 1839 by Isaac Babbitt. Over time, the need for an environmentally friendly, cost-effective coating process has been identified. During recent years, Wärtsilä has carried out intensive research into the technology that goes into influencing bearing performance, and the role of white metal in achieving that performance. The aim of this research has been to develop a new and innovative technique of improving the mechanical and tribological properties of white metal applications. Friction, lubrication and wear properties are critical factors in the efficiency of bearings and by improving them, the new technology can make a real difference in marine, hydro and industrial applications. The development of the new technology focused on the need to reduce premature component failure and to minimize operational risk. There is also an increasing requirement to limit the harmful environmental impact in the manufacturing and refurbishment processes caused by the use of chemical compounds. 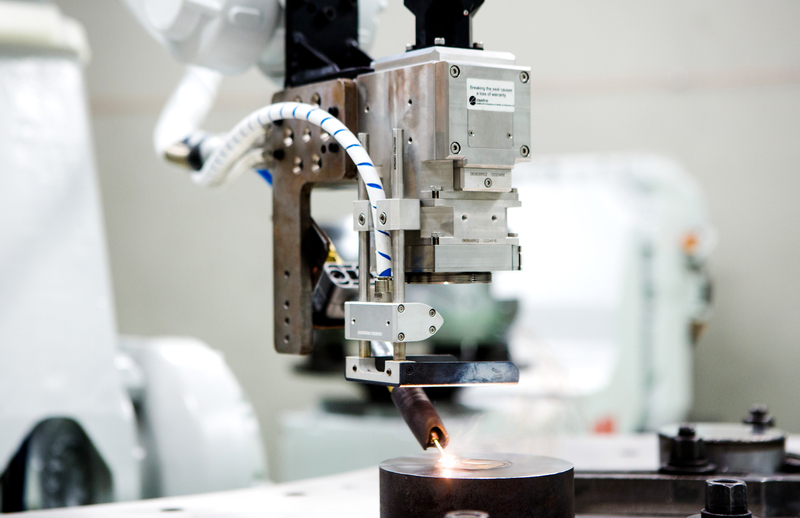 The outcome is a solution that uses the latest laser technology alongside a robotic arm for coating white metal components. The process creates high-speed depositions, which in combination with an exclusive cooling system, produces a high quality, white metal finish. Through this method, the control and reliability of the process is assured; the result is that the white metal has a refined microstructure and is completely free of inner defects. During a microstructure analysis of metals and alloys, a microscopic examination is conducted to study the structure of the material. To determine the microstructure of white metal using the new Wärtsilä technology, it has been observed at different length scales. It is clear that the refined microstructure achieved provides improved mechanical properties, and improves the lifespan of bearings under high load requirements. The technology is especially recommended for the production of equipment subjected to heavy vibration and loads. Among the other tangible benefits that the technology delivers is its flexibility. This makes it very easy to operate, while the quality of the product is exceptional under all operating conditions. The technology has been field-tested with white metal bearings for more than two years with excellent results in terms of durability and enhanced resistance to fatigue. The tests show that the material structure is far more compact than with conventional processes. Produced from layers of white metal, it is capable of withstanding far more stress, and measurements have indicated improvements of up to 40 per cent in mechanical bonding and fatigue resistance compared to regular casting procedures. The reliability, control and repeatability of the process are such that the technology is expected to be widely used for applications in high responsibility areas. 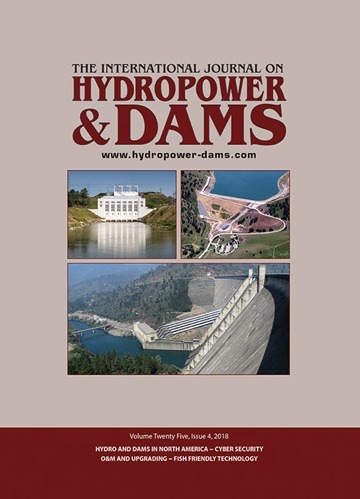 It can be applied within the marine, hydro and industrial sectors to upgrade the performance and lifespan not just of bearings, but also thrust pads, gearboxes, stone-crushers, grinders and mills. 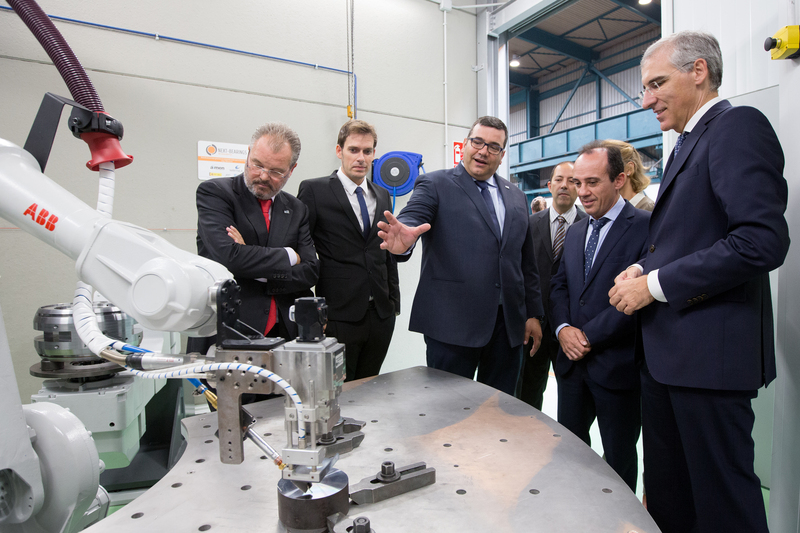 White metal laser technology being introduced to Galician Minister of Economy, Employment and Industry Mr. Francisco Conde (left) and employees of the Technology Center AIMEN in Spain. The same machine configuration can be used for producing a range of various geometries, whether round, circular or rectangular. For example, round bearings with a maximum OD of 1100 mm, a maximum weight of one ton, and a surface area of up to 1 m2 can be produced. With circular bearings, the maximum OD is 1100 mm and the maximum weight is three tons. For rectangular components, the weight can be up to four tons, and the surface area as much as 2 m2. Larger sizes are also possible. In the upcoming months, new laser cells will be available for production. This will enable the increase of capacity for circular bearings up to OD 2000 mm and a maximum capacity of up to four tons in weight. Wärtsilä’s white metal technology represents a notable step forward in improving mechanical and tribological properties. It is an automated method that is safe, independent of environmental conditions and is suitable for mass production and complicated geometries. Compared with conventional processes, this environmentally friendly and cost effective technology is faster, less expensive and cleaner to implement and can make a real technological difference to the production of white metal equipment. 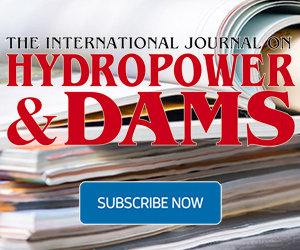 As part of phase II of the Lesotho Highlands Water Project, a hydro-mechnical expert is being sought to join a Panel of Experts.